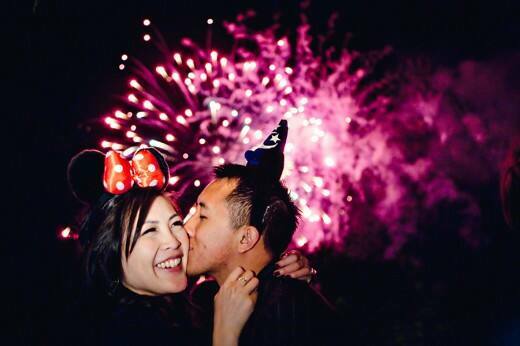 San Francisco natives Christine and Anthony jump-started their relationship by becoming Disneyland Annual Passholders. 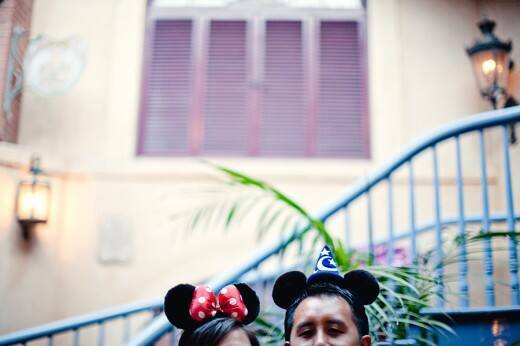 They bonded over their love for attractions, strolls down Main Street, U.S.A. and delectable churros. 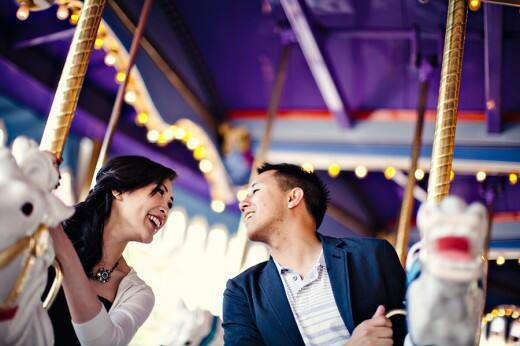 After Anthony popped the question, he and Christine were able to capture their fun and playful nature with an engagement session at their second home, Disneyland Park - and I don't think I've seen a happier couple! 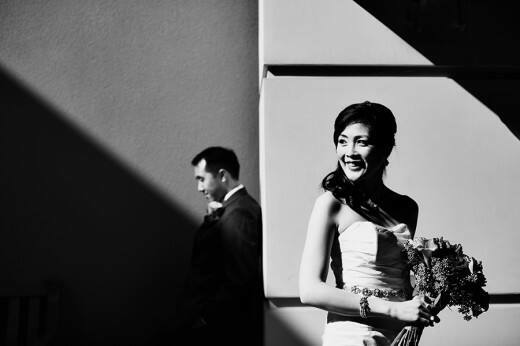 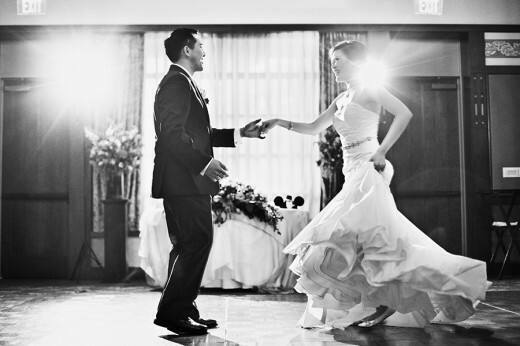 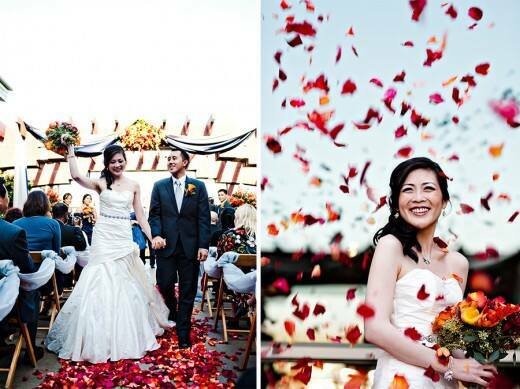 Christine had only dreamt of aDisney's Fairy Tale Wedding, but Anthony knew a wedding venue like the unforgettable Disney's Grand Californian Hotel and Spa could be a reality, so he pulled out all the stops to give his fiance the happily ever after he knew she deserved. 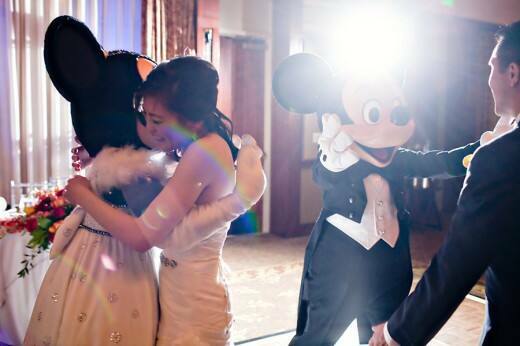 He even worked with our team to surprise his bride-to-be with a special visit from Mickey and Minnie at their reception! 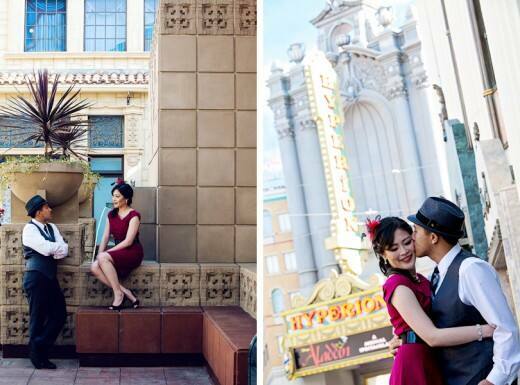 To commemorate their first anniversary Christine envisioned a dramatic and stylized shoot on Buena Vista Street in Disney California Adventure Park. 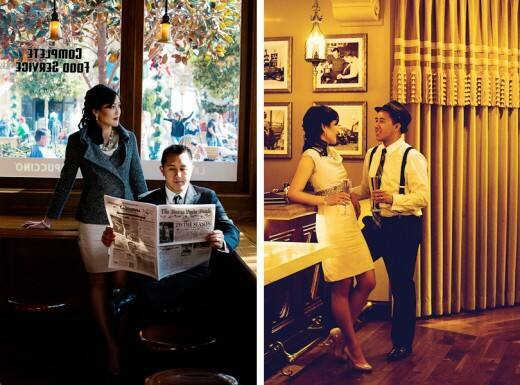 Christine's love for vintage fashion was brought to life with a sophisticated and trendy anniversary session only possible at The Happiest Place on Earth.